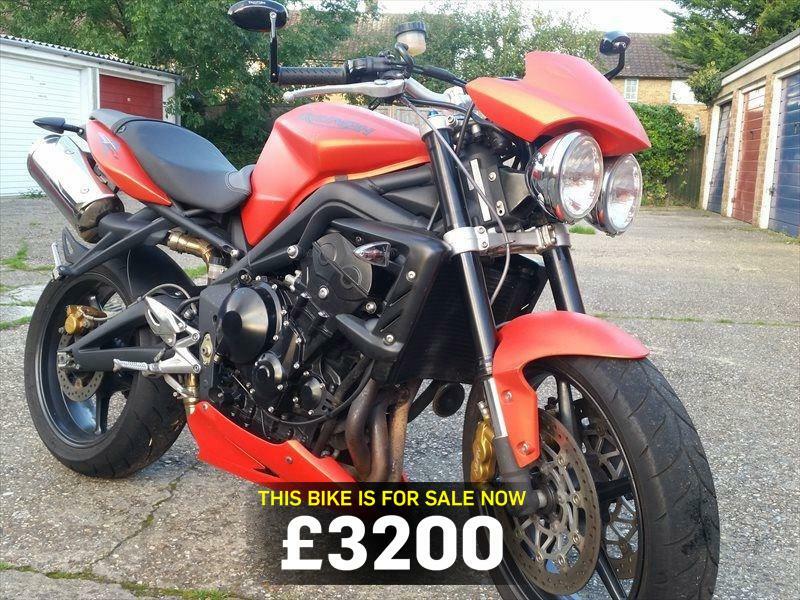 With quite low mileage and an equally low price tag, today's bike of the day is this 2009 Triumph Street Triple R.
"Triumph Street Triple R in great condition. Only 8893 miles on the clock." "The Triumph Street Triple is an exceptional bike. It made the competition obsolete when it was unveiled and to this day it's still the naked middleweight to beat. Some riders prefer the cheekier nature of the early models, of which this is one. Great value for a bike that's guaranteed to make you smile." And if you're interested in purchasing privately try out our new app, MCN Wallet. The app ensures you don't need to carry any money around with you to make a private sale, you simply do the transaction safely and easily using the app. Find out more about MCN Wallet here.